leadership of Yakubu Dogara, member representing Bogoro, Dass and Tafawa Balewa federal constituency who also doubles as the speaker of the 8th Assembly. to key in from music ,poetry, drama arts and designs amongst others. from advocating for good governance and to him Rt Hon. Yakubu Dogara epitomizes that. 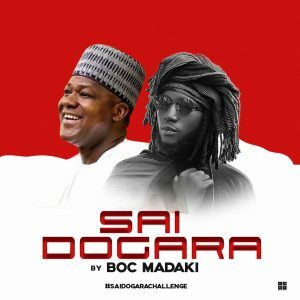 The hit single is expected to drop today Saturday 19 January 2019 during the official kick off campaigns of the speaker in Bununu Town of Tafawa Balewa Local Government.